There are millions of naturally occurring good bacteria, or probiotics, in the gastrointestinal tract. Probiotics help our pets digest their food, absorb nutrients, and even fight off potential viruses and bad bacteria. Without a proper probiotic levels, pets can suffer from several uncomfortable symptoms such as gas, vomiting or diarrhea. There are many things that can upset the good bacteria in your pets’ gut, such as diet changes, stress, medications, parasites, or a bacterial imbalance. If you notice your dog gets diarrhea after training classes or a long day at daycare, it’s possible they will need probiotic bolstering on a regular basis or simply before any stressful or high-activity events. Infections, parasites or bacterial imbalances may need to be treated by a vet, and sometimes antibiotics will be used. Antibiotics are extremely harsh on the digestive system and it will absolutely take some time for your dog to recover all their good gut bacteria. A specially formulated probiotic, such as Healthy Essentials Spray, can help speed up that recovery time and help cope with any uncomfortable symptoms. Also remember when preparing to transition your dog’s food, take it slow so their bodies can adjust and don’t be afraid to boost their food with probiotics too! A properly functioning digestive tract will allow your dog to live happily and comfortably. It will prevent them from having issues with gas, diarrhea, constipation, and vomiting. A healthy gut also influences the overall effectiveness of your pet’s immune system. By bolstering the gut’s natural biome with “good bacteria,” this allows their body to simultaneously bolster its immunity. A dog that is lacking in probiotics, who also has a decreased immune system, may be more likely to fall prey to pathogens in pet foods. Therefore, it is important to be aware of your dog’s own health quirks and change their supplements/food to best suit them. We have several gut-friendly probiotics available at the Yuppy Puppy! 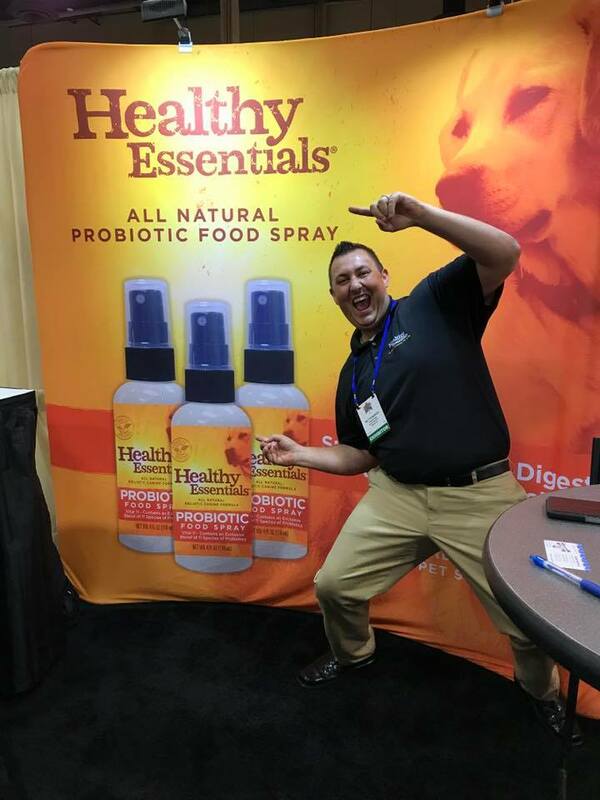 Our Healthy Essentials Probiotic Spray is our favorite option. It’s yummy liver taste and 11 strains of live bacteria make it the perfect choice to help your pet’s upset tummy. It is slowly fermented over a 10 week period to put all those good bacteria into hibernation without ever degrading them by exposing them to heat or pressure. These awesome probiotics come to life when they meet the saliva in your pet’s mouth and rapidly wake to bolster the good bacteria as soon as they hit your pet’s intestinal tract! Great for dogs and cats with a myriad of digestive issues and tasty enough for even the pickiest eaters! We also carry Ark Naturals Gentle Digest capsules and chews, and Honest Kitchen’s Perfect Form and Goat’s Milk supplements. All these options are specifically formulated to help with any and all tummy issues or gastrointestinal deficiencies. If you have any questions or would like to be pointed towards a probiotic for your pet, come on in to The Yuppy Puppy and we will be glad to help!